At Nelson Tree Specialists, our clients often ask us about the best way to remove trees. Everyone wants to take care of their yard, right? Stump grinding is what happens AFTER a tree has been removed, to help ensure a clean, tidy and most importantly, reusable appearance! 1. It’s super fast. 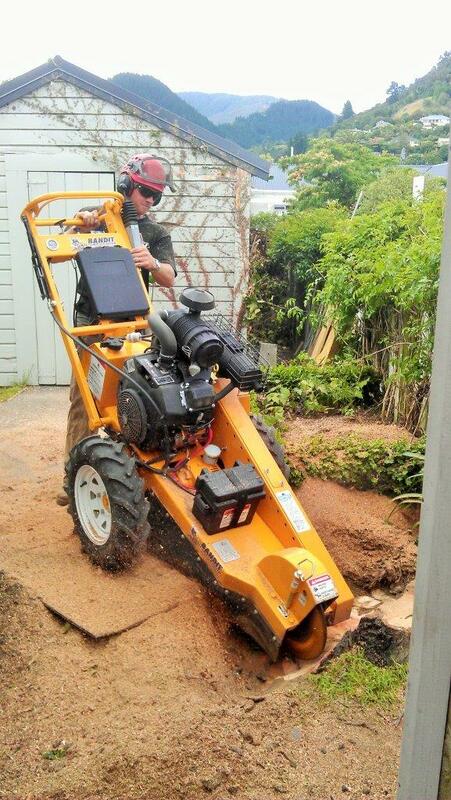 Tree stump grinding eliminates many of the problems associated with traditional stump removal methods and completes the job in a fraction of the time. 2. It’s great for the garden. The powerful blades on our stump grinding equipment creates mulch, which is fantastic for the garden and looks great too! 3. Minimises damage. Another benefit of stump grinding is how accurate it can be. Our various shapes and sizes of grinding machines remove stumps with precision, which minimises damage to surrounding trees, plants or landscaping. 4. It’s kind to the environment. Stump grinding is becoming increasingly promoted by environmental conservation groups. Contaminated stumps are being targeted and removed to prevent the further spread of disease to healthy trees in the surrounding area. Special offer: To celebrate our 8th birthday, we are offering FREE STUMP GRINDING with any tree removal, during the month of March! To take advantage of this fantastic offer, get in touch with us today! © 2014 Nelson Tree Specialists, New Zealand. All Rights Reserved.